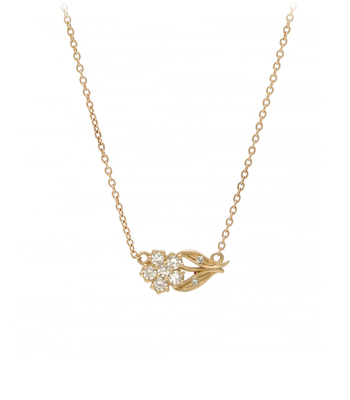 Like twinkling dewdrops on a blade of grass, our Mini Dewdrops Necklace adds a natural and sparkling touch to your everyday. 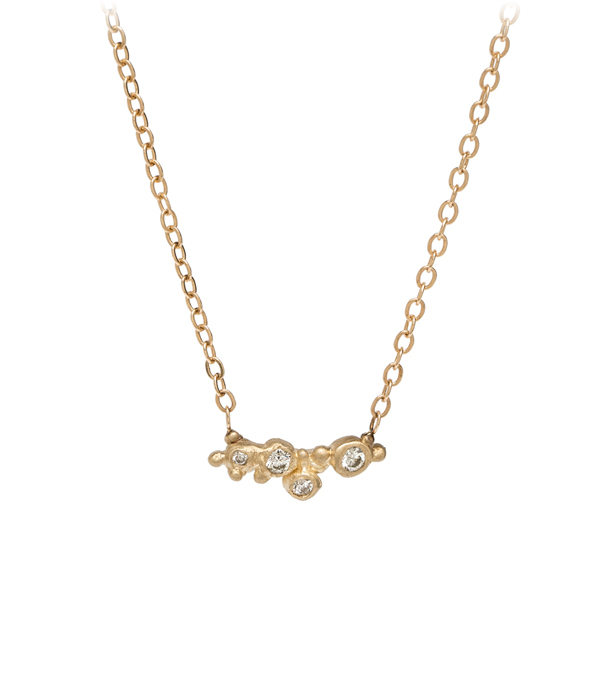 This whimsical necklace can be worn alone or layered with your other favorites. 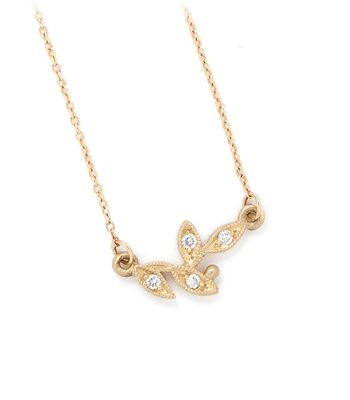 Golden "dewdrops" are sprinkled and scattered amongst tiny diamond accents. 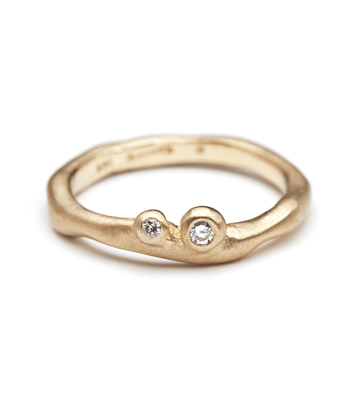 Understated, asymmetric and subtle, this piece makes beautiful gift for the woman who appreciates rustic textures, and for whom nature inspires her world! 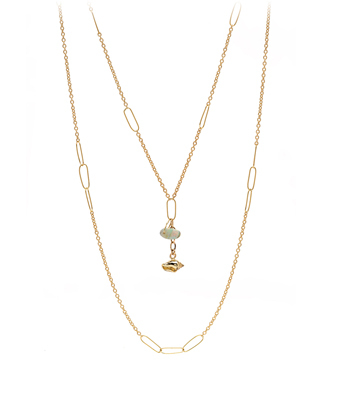 Categories: For the New Mom, Holiday, Modern Bohemian, Necklaces, Tresor.